maintaining with the help of his crew." service was so poor was difficult," Eileen explained. emergencies so that service is never interrupted due to an illness, vacation or some other event. 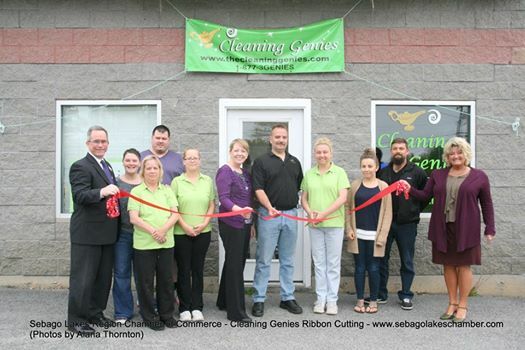 his banking, investment and insurance background his experience as proved to be invaluable as Cleaning Genies continues to grow. revenue in 2011 due to the growth in the commercial side of the business. are creating good paying jobs in the area." Region Chamber of Commerce. 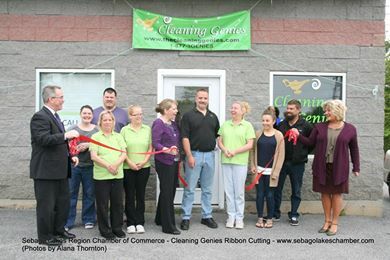 You can visit Cleaning Genies online at www.thecleaninggenies.com. base on busy Route 302 half way between the Sebago Lakes Region and downtown Portland, ME.